These black silicone hydra eyelets are made in the USA by Kaos Softwear. Choose your size below. 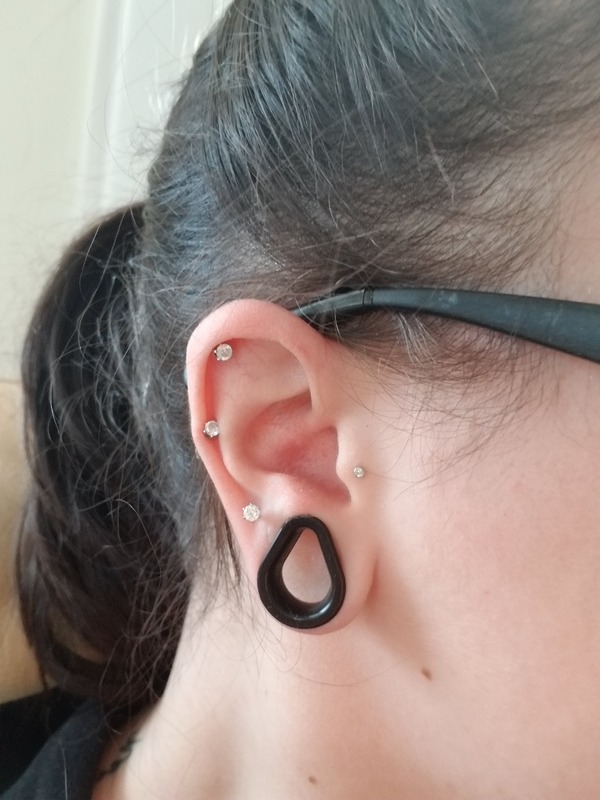 These tunnels are exactly what I expected them to be: silicone tunnels that sit in my earlobes. People even say "sweet gauges brah" when they see them, but I don't bother responding because "gauge" is a unit of measurement and not the jewelry they are actually referring to, and I don't want to continue listening to the things coming out of their face mouths at this point. Also if these hurt your ears, try keeping them hydrated, clean, and maybe even wearing the correct size, you animals. They are very well made and they never fall out like my earskins did. But they are definitely a lot thicker therefore they tend to push against my neck/head as I sleep which can get uncomfortable and almost feel like a bruise after. Otherwise they are really good and hold shape.